Our Photo Reprints extension for the Sell Media plugin for WordPress will simplify the way you sell images and free you from third party websites. This extension allows you to sell both downloadable files and photo reprints from your WordPress site—no middlemen involved—and print and ship them directly to your customers. You can create an unlimited number of reprint size options and print the images yourself, or send them to your preferred print vendor of choice. 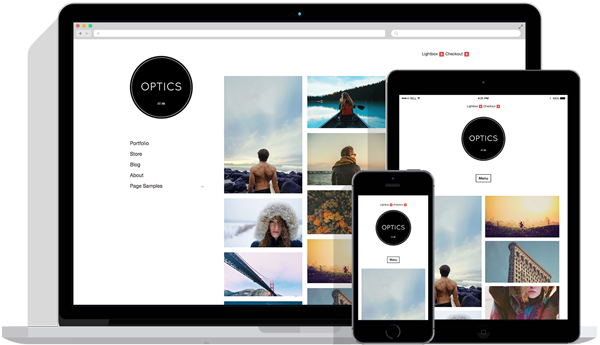 When you activate the Photo Reprints extension, you’ll immediately transform your WordPress site from a portfolio and blogging platform into the hub of your online business. Sell any image you upload to WordPress as either a digital download, a photo reprint or both. Break the chains of third party websites and spend more time creating and sharing your work. Download the Photo Reprints extension. This entry was posted in Announcements, Blog, Photography and tagged photography. Bookmark the permalink. Any updates on to adding collections to posts or pages easier? Those of us that do large events with lots of photos would appreciate this. That said, if you do want to display single items on an post or page, you can optionally use the shortcode located below the post on the Edit screen. You can also embed a gallery of images using WordPress’ core Gallery feature. Problem with that is, If I want to post an article, and have a gallery of images that I want to sell on that post, I cant attach a gallery of images using the sell media plugin. The wordpress core gallery will not link to the photo attachment page that sell media uses to sell photos. If it did, there would be little issue left. You could easily insert one or two or many images and link them to the actual Sell Media Collection or Single page. 1.) Do not use the built in WordPress core system for image management or give us the option to use a separate library for the sellmedia images. When adding large amounts of images to collections, I sometimes do not want to sort through images that were uploaded for things like post thumbnails when sorting, which can be deterring when dealing with a large volume. 2.) Collection editor. Let us sort out which images are in collections, and which ones aren’t so when I bulk upload images, and forget to put them into collections I can easily see them in the library. Much like the flickr manager (the website, not a plugin). 3.) Short codes for collections. As far as a better example, unfortunately I can only refer to nextgen, which I am not a fan of. But when your editing a post/page, they have a nifty little plugin in the wysiwyg editor to choose an image, gallery (collection), or album to insert. Theres short codes for images already, add the collection short codes and add that nifty widget, and you will see customers pouring in thanking you for an alternative to nextgen that allows you to sell images. 4.) Hey albums would be cool to nest groups of collections. The page structure for the images is fine, totally cool with having images have their own page structure ( I actually prefer it). I just need the ability to make a gallery of images that I can insert into a post or page along with a lot of content, easily, with out having to search for lots of short codes for a large number of images. Compliment (Because I know my request sounded harsh, please dont take it that way, I’ve just suffered through months of finding a service that works for selling event photography…) – The Reprint service is AWESOME. Great job on that. Can you elaborate at all or demo what companies you can integrate with to have fulfillment completed? This is a huge selling point and I just need to know how this process works before I go all in on an Unlimited License. This extension is vendor agnostic. You recieve order notifications via email, then you send the print order to whatever print vendor you prefer. Finally, either you or the print vendor ship the prints to the customer. If you want to sell Panoramic’s and 8×10’s and any other odd sized prints. How do you prevent people from choosing sizes that don’t correspond with the image aspect ratio? Currently all images inherit the default sizes you choose on the Settings page. We’ll be adding size and price groups, which can be assigned to specific images, in an update soon. thanks, I will be eagerly awaiting this update. I bought the plugin but i need that feature. The Twenty Twelve theme, which is packaged in all WordPress installs. I want to vary pricing depending upon photo subjects. Plus SALES for some items (which I could out into their own group, yes?). Will that ‘update’ COST additional money for those of us who buy now??? ANY idea if one week, 1 month, 3 months, 6 months for this update? That’s the number one thing I need: varied pricing. (AND csv upload/download for pricing, item number, description, etc. Esp useful for sales! Are you considering csv capabilities?) Thanks! 1) Can we assign ‘Pin it’ type button/link for every photo? I’m a huge fan of Pinterest. When we pin an image, and include a price in their caption, Pinterest will link the image to our page/post. Plus put a banner on the top left of the image IN Pinterest indicating it’s for sell. I MUST be able to add some kind of ‘pin it’ button/link to every photo. That also allows MY visitors to pin my photos on their boards. 2) NOT clear what kind of modification we can do to the photos after we add them, hit the sell box, they are moved to YOUR whatever (no idea what you meant by all that, just so it shows up in YOUR settings), then do we have access to further modification? 3) Can we display caption info, not just filename? I assume we include that in media settings. I always include more info, and not just in the meta tags/keywords. Thanks! 1) Will ‘update’ (for varying prices per collection) COST additional money for those of us who buy now? 2) ANY idea if one week, 1 month, 3 months, 6 months for this update? 3) Can we assign ‘Pin it’ type button/link for every photo? I MUST be able to add some kind of ‘pin it’ button/link to every photo. 4) ANY modification after we upload, hit sell box, moved to display in yr settings … then do we have access to further modification? 5) Can we display caption info, not just filename? I assume we include that in the media settings. Caption, description, not just in meta tags/keywords. Will THAT info display? 6) Are you considering csv capabilities? Upload/download for pricing, item number, description, etc. 7) Thanks, could be exactly what I want/need! Or not … used yr themes in the past and not a happy camper. Can’t remember which, but too many cropped to the middle of an image. Not cool cutting off Clash singer/songwriter Joe Strummer’s head. 8) I never got any tech support fro GPP. Money and time wasted. Not willing or able to do that again. BUT I need/want something like what you are doing. I’ve used LOTS of ecommerce platforms. Their fees are rather outrageous. Now using free ecwid, but it’s inelegant, no tech support, and shipping options don’t work. 3. We will be releasing a “Stock Photography” theme next month that integrates with Sell Media and includes a “lightbox” button so your visitors can pin photos they want to buy. Looks like I just spilled the beans. Oops! 4. Please restate your question. I don’t understand what you are asking. 5. Yes, include a caption for the photo in the metadata and it will display. 7. Cropping is handled by WordPress according to the sizes you specify on the Settings -> Media page. Sell Media respects the aspect ratio of all images. 8. That’s odd, because I have emailed/corresponded with you in the past regarding some questions. I’ve had reasonably good customer support from GPP. Sometimes I’ve had to rephrase the question or elaborate to get the answer I’m looking for but your support has always stayed with me until a satisfactory answer was delivered. Many Thanks! Will the Sell Media Plugin work for ANY WordPress theme, or only on Graph Paper Press themes? I currently use Photoshelter, and it would be great to cut off my monthly payment to them and handle it in-house, but I like my current theme (not a GPP theme…). Thanks! The plugin looks great, btw. It works with any WordPress theme. That said, we make sure our themes work well with it. We also have some big things in the works for creating unique themes that cater to Sell Media. Excellent. I just purchased, downloaded, and installed the ‘Reprints’ extension as well. I’ll have to wait until you upgrade to allow ‘Size and Pricing Groups’ though, in order to have the functionality I need. Is there a way, or can you implement a change to allow us to change the title of the tab, from “Reprints” to “Prints” or another custom name. Please hurry with the update for the size/price groups – I hate having this functionality nearly there AND paying PhotoShelter a monthly fee 😀 Thanks again! Is there any way to have password protected galleries. I have a Tae Kwon Do club with very young members and my clients (parents) are quite happy having the photos protected. I’d like to be able to keep that option and use this theme. My current setup is very clunky and not as clean as I’d like it. This is thus far looking to fit the bill. Currently galleries (we call them “collections” in Sell Media so there is no confusion between WordPress’ default “gallery” features) can be marked as “hidden”. This doesn’t password protect them, it merely hides them from being listed on archive pages. That said, we are definitely adding the ability to password protect entire collections. You can currently password protect individual images. How do customers pay? How do I get paid? Customers pay via Paypal (either log into their account or pay with Credit Card). Payments arrive in your Paypal account, which you can deposit directly to your bank account whenever you like. Do all photos have to have the same prices and sizes as prints. I sell photos devided in regular and the best. Obviously the best are more expensive but somehow I don’t find the possibility to do it with this plugin? Size/Price Groups are planned in a future release of Sell Media. This will allow you to assign a specific price group to either a single image or a collection of images. Any update on when this will be in place? Will there be possibility to pay with credit card or paypal only? Users can pay with credit card at Paypal (without creating a Paypal account). Can I limit the Photo Reprints plugin to just one page of my site? I want one dedicated page only for my print sales. I thought about using Big Cartel but they aren’t very WordPress friendly it seems. Create a new Collection called “Prints” and add photos to it. Then, just make sure the photos in that Collection have the “only sell prints” checkbox checked. We do plan on changing the checkbox to a YES/NO field so you can disable selling prints on certain images in the next update to the Photo Reprints extension. Can anyone help with getting this plugin to work? I have created a test selling page at http://www.peterllewellyn.com/items/test-page-to-sell-prints/ but when you add this item to the cart and then click on checkout there is nothing on the checkout page. Odd, that looks like a bug in our instructions page. There should be underscores (_) separating each word like this: [sell_media_checkout] We’ll get that fixed. I want to be able to sell an ebook in pdf format as a download. I have been trying to do this but now I have the Sell Reprints extension added there seems to be no way to have an item for sale without all the various print sizes being available. Obviously there are no print sizes for this single item. Is there a way to do this with Sell Media? You do not need the reprints extension to do this. Just use the Sell media plugin. Hi Thad – I get that I only need Sell Media to achieve this but I want to sell both single priced items, licensed items, and self fullfillment prints, only not to offer every option for each item. If I have items for sale as reprints I need to have the Sell Reprints option activated, but once this is on then all items have the option for print sizes which obviously does not apply to an ebook. I see there is a way to turn off downloads but is there a way to offer an item as download only and not have it available for reprints as well. We’re adding this functionality to the next version of reprints (opt in/opt out). I am playing with the plugin as I want to sell photos, but when I look at a preview of the product page – it looks very bad. The image is too big and the rest of my site does not show up properly. I have a screenshot of what I am referring to below, please take a look. Let me know if its my WP theme that is causing the problem? If I understand your question correctly, you’re requesting the ability to control whether the image is available as a Print, Download or Both on a per-image-basis. Correct? If so, I have good news: The next version includes this functionality. We’re sending out this update today. I INSTALLED sell media Reprint. I have completed a few test purchases and it works fine. But when I get a reply message either through paypal or under payments in Sell media, I can not see what is purchased only the name of the picture, but not size or number? Please see my comment above. This has been fixed. We fixed this yesterday and will be sending out the update today. Thanks for reporting it! Yes now I get the rigt info. Does the plugin (or any of it’s extensions) allow the use of coupon/voucher codes to allow users to get a discount? If not, then are there plans to do so? I would like to see functionality that allows item specific % or $ discount as well as entire cart discount. We have plans for a coupon code system that will work with both reprints and downloads. It should be completed in the next couple of months. Excellent. I look forward to the announcement! Is it possible to translate it? Are there more payment metods available? Regarding payment methods, would there be a way to add an offline-payment, where your client pays you other way than PayPal? It would require a possibility to manually clear the payment from the payment section. 1 minute 32 seconds, do not understand why I can not watch this video. Any update on the ‘update’ that will allow for different ‘size/price’ groupings? Until this becomes available, I’m kind of stuck with PhotoShelter… not where I want to be anymore. Coupons. Really need to be able to sell and use coupons with this plugin! Any update? Beta groups? I see you added price groups to the sell media plugin (1.5.1) for people who wish to sell their images as a download file only . Are we going to see price groups for “Reprints”? I don’t want to have my files downloaded but I would like price groups for selling Reprints. When there was talk of price groups….I was thinking price groups would change both downloads and reprints together…..two birds one stone. Can you add this as an enhancement? or is that the next step of the price group process. Hi. Well, first of all I don’t know if this is the right place to talk about problems/errors… Is it? Anyway I do see this is the right place to ask about new features and improvements. I want to buy the Reprints Extension, but 90% of my customers prefer to get their photos by email and pay in the post office when they get them. Is there going to be anytime soon the option for offline payments? I just can’t use Sell Media without other payment options! Any way to mark a bunch of uploaded photos at “Sell” rather than doing each one separately? I guess a batch edit function? If I use this plugin so then, can other persons upload their pics/photos and sale them. A registered member come at my site, login and upload their photos and sale them. Is there plugin that you may suggest me..please reply asap. Sounds like a great plugin system. I use free wordpress themes and ElegantThemes though – does it work well there? By looking at the screenshot and the backend of the free Sell Media plugin, there doesn’t seem to be the ability to collect tax. Is this offered in the Photo Reprints extension? Cannot find any information on this. You can add tax in sell media. But in general you don’t have to collect tax on digital goods. Is there an automated way so that reprint orders are sent directly to photo labs without my intervention?.. something like the global Print Vendor Network that Photoshelter offers? Or do we still need to do that ourselves, with this solution? downloaded but I would like price groups for selling Reprints. I want to sell sizes that are not normal camera aspect ratios and be able to turn off sizes that you cannot buy. extension install…….am i doing something wrong or is there a glitch? price group but when you hit purchase none of those sizes are available. Would it be possible to turn off image downloads to the sell media plugin and make it work for reprints only? ……that way the reprints could have price groups. I need the ability to limit the size options per item which the price groups functionality solves.